Gorilla Go Wilder is the follow on from the immensely popular Gorilla Go Wild slot. 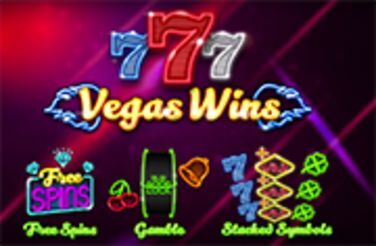 The slot is complete with a variety of bonus features which include an 8 free spins with features such as scatter style pay outs, expanding wilds, mystery symbols, wandering wilds with x10 multipliers as well as x25 multipliers, transforming symbols, mega stacked symbols and up to a massive 200 pay lines. When it comes to the visuals, Gorilla Go Wilder is set within a tropical haven that is complete with swaying palm trees and a stunning deep blue sea which makes a stunning backdrop for the slot. The soundtrack is a typical up beat calypso style and there is Gary the Gorilla standing to the left of the reels. The graphics are well created using cartoon styles and the symbols on the reels include the usual playing cards 9 through to Ace, with the higher paying symbols including gold coins, monkeys, skunks and toucans. The wild is Gary the Gorilla and he can replace all other symbols apart from the scatter to create winning combinations, and players that are lucky enough to land 5 Gary Gorilla’s on a pay line will be rewarded with a pay out which is x50 of their stake. When playing in the base game players have the opportunity to randomly activate the Shell re-spin feature with a single re-spin awarded and if players then land one or more shell symbols on their re-spin they are awarded with another re-spin. The re-spins can continue until either all 15 positions are filled with shells or no more shells land. For every shell the player is awarded with a cash prize however these pay outs vary depending on how many times the players trigger the Shell re-spins feature. 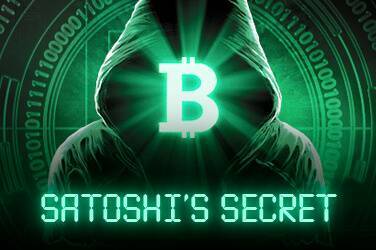 Once players have activated the feature five or more times, the shells will pay out x8.33 their stake and land the complete 15 and x83.33 of the players stake is paid. That’s not all though, as players can trigger Gary’s Gifts feature at random and it is this feature that provides players with entry into the special Bonus Islands feature. This feature can also be activated when the player lands three or more of the bonus scatters anywhere on their reels, three pays out x4.16 of the players stake land four and the reward is x8.33 and five will pay a whopping x83.33 of the players stake. When it comes to the free spins feature there are different features, and these are determined on the number of the times the player has activated the Bonus Islands feature. The power pay table bonus feature also known as Tiki Bar provides players with 10 free spins with all of the symbols apart from the scatter in play and these pay out in accordance with the power pay table. Three, four or five of a symbol pays the player 1.6, 16.66 or 50 times their stake, better still this feature can be reactivated to give the player a total of 20 free spins in total. The mystery crystal bonus feature, the Crystal Cave awards players with 10 free spins with random mystery symbols appearing on all of the reels and will morph into any other symbols apart from the scatter and this can be reactivated to award players with a total of 20 free spins. Next is the expanding wilds bonus feature known as the Green Jungle awards players with 10 free spins with any wilds expanding to turn the entire reels wild and players can also win an additional 10 free spins. - The Mega Stacks Bonus feature aka the Waterfall provides players with 10 free spins with all of the symbols apart from the scatter appearing stacked and players have the chance to land an additional 10 free spins. - The Lava Lines Bonus feature also known as the Volcano rewards players with 10 free spins with each free spin being played out using a reel set with 50, 75, 100, 125, 150, 175 or 200 pay lines. There is also the opportunity for players to win an additional 10 free spins. - The Hidden Wilds Bonus feature or the Spooky Jungle provide players with 10 free spins where certain symbols will morph into wilds, and players can also benefit from an extra 10 free spins. - The Wandering Wilds Bonus feature or Purple Jungle immediately awards the player with 10 free spins complete with two wandering wilds which appear on every free spin. Players that manage to land the symbols in the same position will see all of their wins turn wild with a x10 multiplier and this feature can also be retriggered. Finally, there is the Multiplier Zone Bonus feature which is also known as the Sunset Beach and sees players awarded with 10 free spins which have a multiplier zone make an appearance on their reels. Players that land a win through the multiplier zone covering a single position will win a 25x multiplier. Cover two positions and the multiplier is 20x. Cover 3, 4 (1×4), 4 (2×2), 6, 9, 12 or 15 positions, it’s 15x, 10x, 8x, 7x, 6x, 5x and 5x respectively. 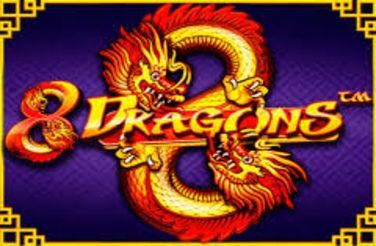 There is a lot for players to master, I think the best feature of the slot has to be Lava Lines Bonus feature as players get to play every free spin on a 200 pay line set of reels, but landing the top prize of x12,000 the players stake really is something spectacular.